As our nation continues to struggle with the current financial crisis, many programs supported by government funding have and will continue to feel the pinch. The National Head Start Association is trying to help local programs keep their heads above water during this time of economic trouble, helping doors to remain open and secure that these opportunities stay available to the children and families who need it the most. How Will Budget Cuts Affect My Head Start? Beginning in 2013, the Obama Administration has annnounced that it would be cutting all “non-defense discretionary” function by as much as 5.1 percent. These cuts will directly affect educational programs, including Head Start and Early Head Start. Anyone who works in non-profit education today knows that a cut of this size will significantly impact these programs. Administrators will have to find ways to make up for the loss of funding, which typically results in lowering of compensation for employees or cutting positions completely and reducing the number of children eligible to enroll in the program. The Office of Head Start has estimated that as many as 70,000 at-risk children will lose access to Head Start services as a direct result of sequester budget cuts. This will affect programs at the local, state, regional and national level. What Can I Do to Protect My Head Start? 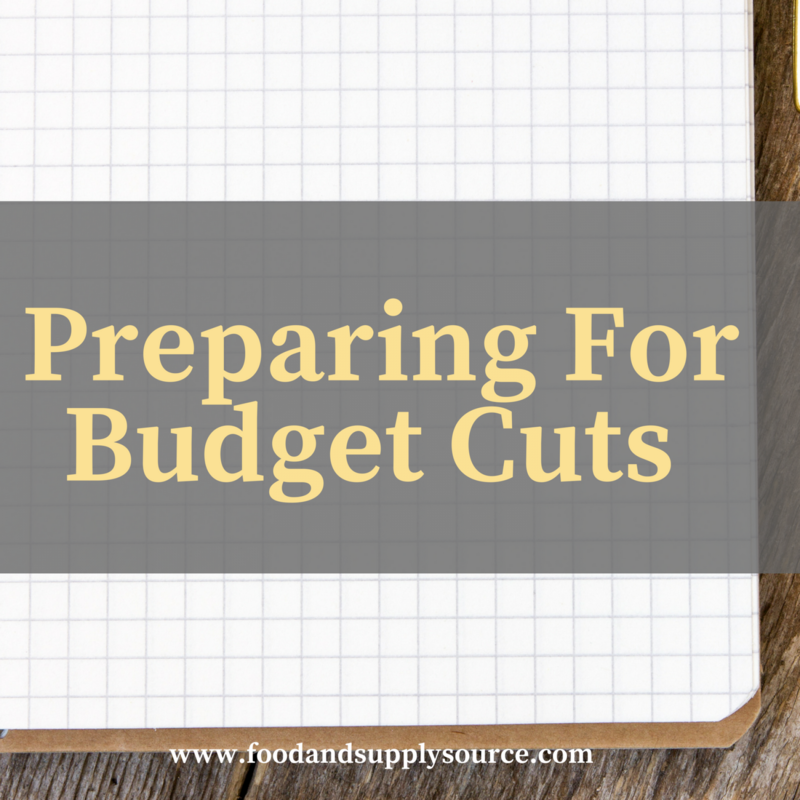 In order to meet your annual budget goals this year, it is very likely that your program will need to incur a minimum seven percent cut for the remainder of the year. By preparing in advance for these across-the-board budget cuts, Head Start programs can work to protect the children and families that benefit from their organization at the local level. It is possible to take action and help prepare for these budgetary cuts, without having to reduce staff or enrolled particpants. One way to cut costs is to review purchases of food and supplies required to run Head Start and Early Head Start programs. Many Head Start programs are being taken advantage of and are being overcharged by vendors, resulting in hundreds and sometimes thousands of dollars lost each year. Unfortunately, most administrators just don’t have the time or the means available to research and review their purchasing behavior to look for ways to save. Educational administrators might not have the time or resources to research their purchasing behavior and locate the best prices on the food and other supplies, but FoodSource Plus does. FoodSource Plus is now offering a free food and supply savings analysis to Head Start and other non-profit organizations looking to cut costs and improve spending. But there are ways to cut costs without cutting programs and opportunities. Group buying, consolidation, aggregating spending and lowering costs across the board by working with programs like FoodSource Plus are just some of the solutions available. Head Start programs that go through FoodSource Plus to purchase all of their food and supplies, have a unique opportunity that could end up saving them more money overall than they would be losing in the sequester budget cuts. Free services and programs, like the one offered at FoodSource Plus, are a great way to prepare your non-profit organization for the sequester cuts and other budgetary reductions planned for 2013 and beyond. Another way to help is to spread the word about the FoodSource Plus program to other Head Start program administrators, which could ultimately save thousands of at-risk children and families from being affected by these cuts. FoodSource Plus is in the business of serving non-profit programs like yours. They want to work with you to help protect your Head Start and Early Head Start programs from the current financial crisis. Contact FoodSource Plus today for more information on how you can save money on food, educational supplies, office supplies, janitorial supplies, credit card processing, background checks, diapers, promotional materials and much more. Call toll free at 1-866-248-4520 or email for more information to info@supplysourceplus.com.